Sorry! Diese Seite wurde noch nicht übersetzt. 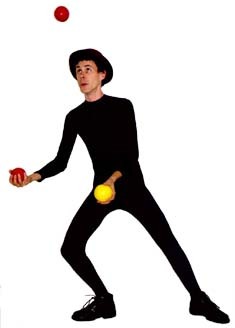 ...James Jay's stylized juggling evidences a skillful concern for visual and musical structures.